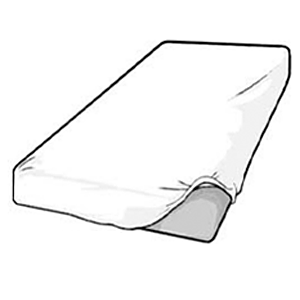 Poly Cotton Arabian Daybed Slipcover - Buy from Manufacturer and Save. 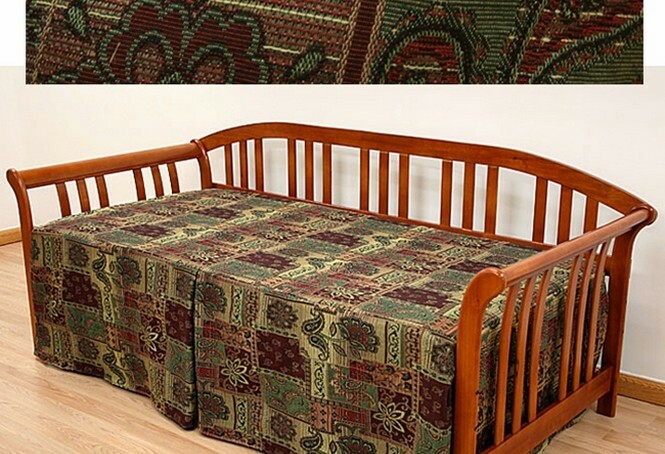 This Arabian daybed cover is composed of durable, upholstery grade tapestry, affluent looking poly cotton blend. 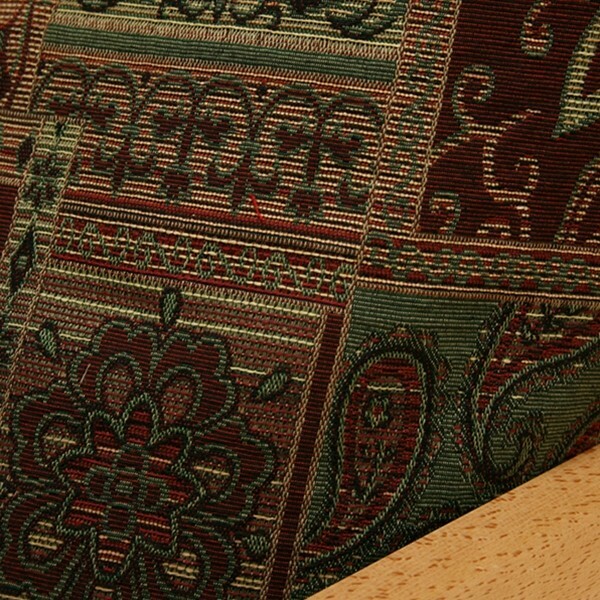 It is one of the finest quality woven artwork highlighting Moroccan subject in rich shades of burgundy, tan, green and squeeze of dark. Arabian Easy Fit Brand daybed cover is sewn in such a way that you will no longer have to struggle with tucking excess fabric down the back of the daybed. Features three sided skirt, a kick pleat in the front of cover and tailored split corners. 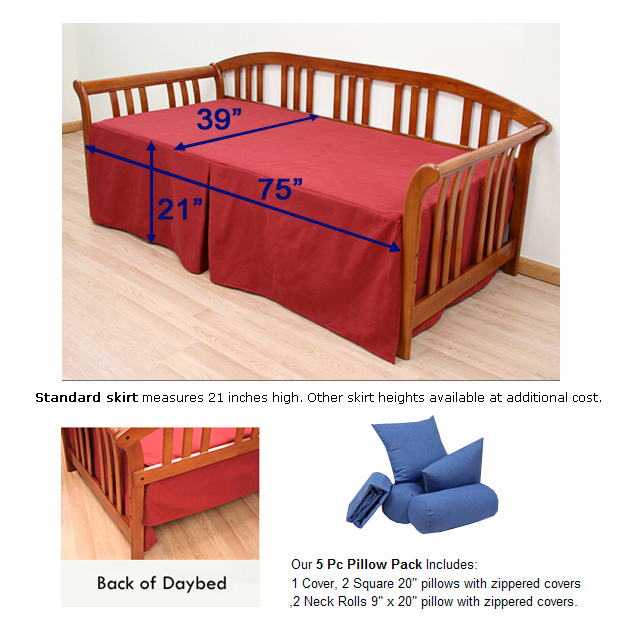 Made to fit twin daybeds measuring 39 inches wide and 75 inches long. Standard skirt measures 21 inches high. 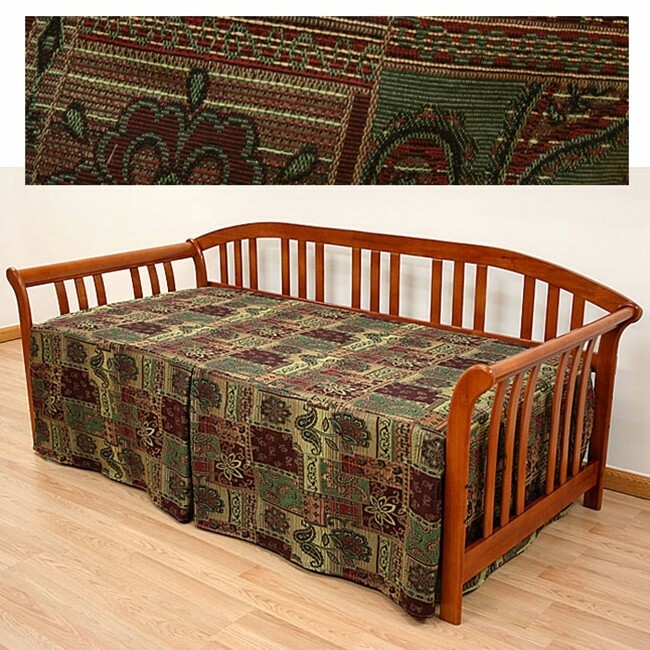 Arabian Easy Fit Brand daybed cover is sewn in such a way that you will no longer have to struggle with tucking excess fabric down the back of the daybed. Features three sided skirt, a kick pleat in the front of cover and tailored split corners. Made to fit twin daybeds measuring 39 inches wide and 75 inches long. Standard skirt measures 21 inches high. 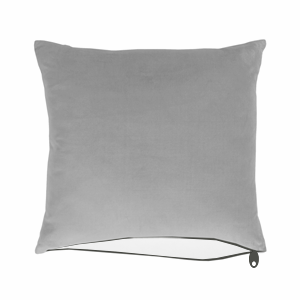 Daybed Cover 5 Pc Pillow Set, which includes: 1 Daybed Slipcover, 2pc. 9x20 Neck rolls and 2pc. 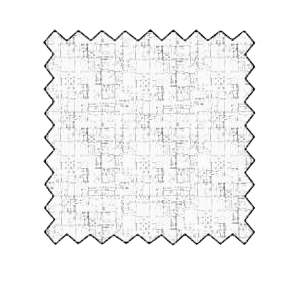 20x20 square pillows, Yes complete with covers and pillow forms.